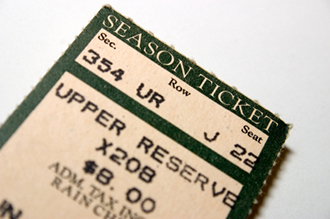 Series and/or Season tickets are typically used by sports teams and arts presentation groups. Each ticket can be printed with the same seating information over the total number of games and/or performances in the season or series. It’s easy; create a new account or log in to your account on the left (for existing customers). Click on the ‘Event Tickets’ link under the ‘Place an Order’ heading. 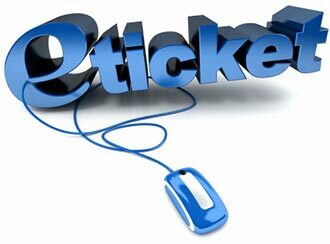 This opens a form that will guide you through the kinds of information that can be included on a ticket. You can leave any fields blank that are not applicable. Also, you can attach a graphic as well as information regarding each performance or game within the series or season. Ensure that the seating plan contains all relevant information including section, row and seat designations. Click on the ‘Submit Order’ button when you are ready to send the order to us.If you prefer, you can email us directly at . Most series/season jobs can be created, proofed and printed within 24 hours.